Following Monday night’s Board of Trustees meeting, Superintendent Dr. Bill Cook announced the hiring of Ashley Miller as a district math coach. Miller, who has been an elementary teacher in Rock Hill Schools since 2008, has served as a school-level math coach at Independence Elementary School for the past year. 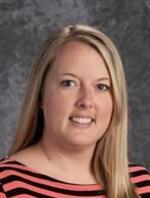 She has previously taught fifth grade at Independence, and in 2016, was selected as the school’s teacher of the year. She also taught for one year at Cotton Belt Elementary School in York, S.C. before moving to Rock Hill. In her new role, she will work directly with teachers to improve mathematics instruction across the district. She replaces Stephanie Koontz who was named earlier this summer as an assistant principal at York Road Elementary School. Miller holds undergraduate and graduate degrees from Winthrop University.